“It’s a dangerous business, Frodo, going out your door. You step onto the road, and if you don’t keep your feet, there’s no knowing where you might be swept off to”, so wrote J.R.R. Tolkien in The Lord of the Rings. 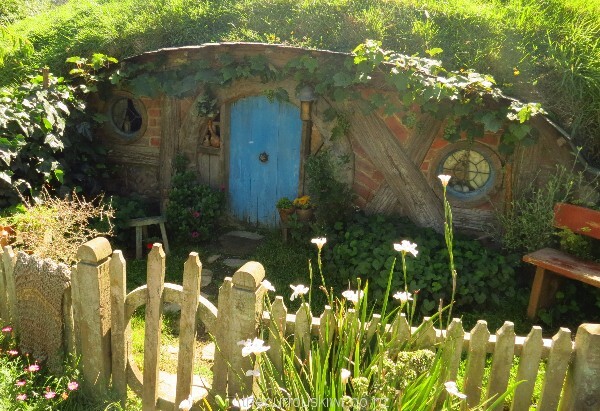 After visiting the Hobbiton Movie Set I can see why the hobbits were content with life in The Shire, but I’m glad we ventured out our door and onto the road to Matamata. 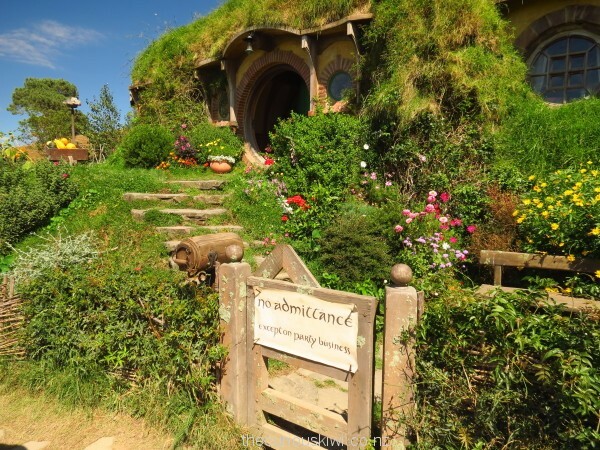 Lots of people start their tour from Matamata i-SITE, however there is plenty of parking at Hobbiton and your own transport gives you more flexibility. 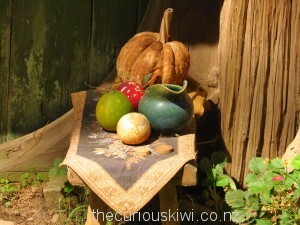 From the i-SITE it’s a 20 minute drive to The Shires Rest Cafe where bus tours depart for Hobbiton Movie Set Tours. The guided tours leave every half hour (they really are that popular). 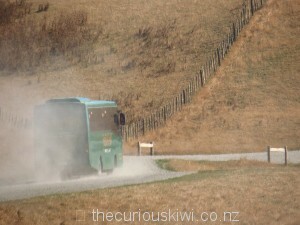 On the way up the dusty road the bus driver told stories of visitors dressed as hobbits, including one that didn’t let his height stop him from being a hobbit for the day – he was 2.2 metres tall! 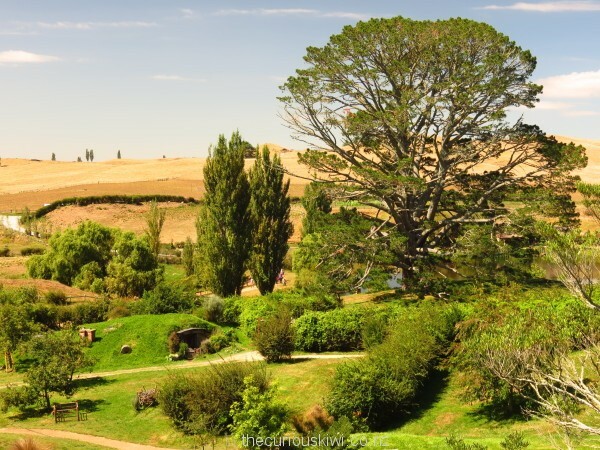 The driver explained how director Sir Peter Jackson knew he’d found Hobbiton from above when he saw a pine tree next to a lake, the pine tree was destined to be the Party Tree in the movies. 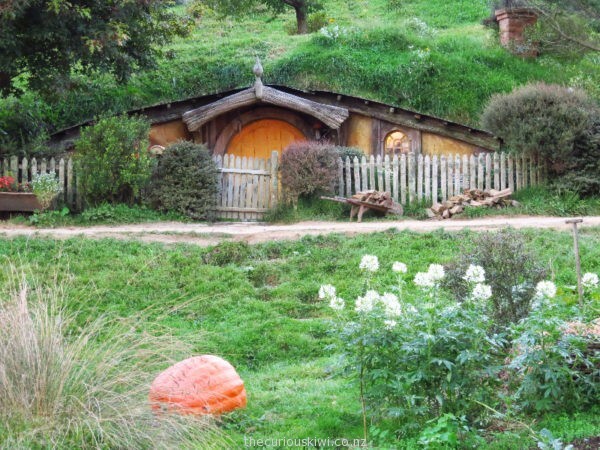 Once off the bus everyone took photos of the “Welcome to Hobbiton” sign but as soon as the first hobbit house was spied camera shutters went into overdrive. There are 44 hobbit houses so there is plenty of time to take photos (I managed over 200). Our tour guide pointed out where scenes were shot in the movies and explained some the intricacies of the set. The large oak tree above Bilbo’s house was cut down and transported to Hobbiton where its branches were bolted back in place. Thousands of artificial leaves were wired to the branches, all for a few seconds of filming. 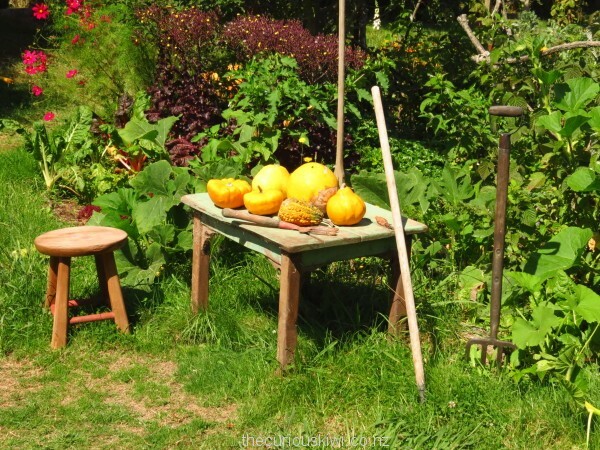 It takes five full time gardeners to keep The Shire’s real gardens blooming, and bloom they do – look out for the giant pumpkins. Smoke rises out of some chimneys in The Shire, although there’s no one home. 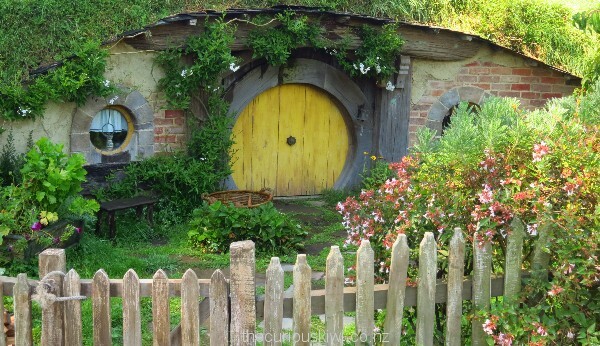 It’s intriguing to wonder what you’d find in a hobbit’s house but all interior filming was done in a studio in Wellington, so it’s just the facades of hobbit houses at Hobbiton. 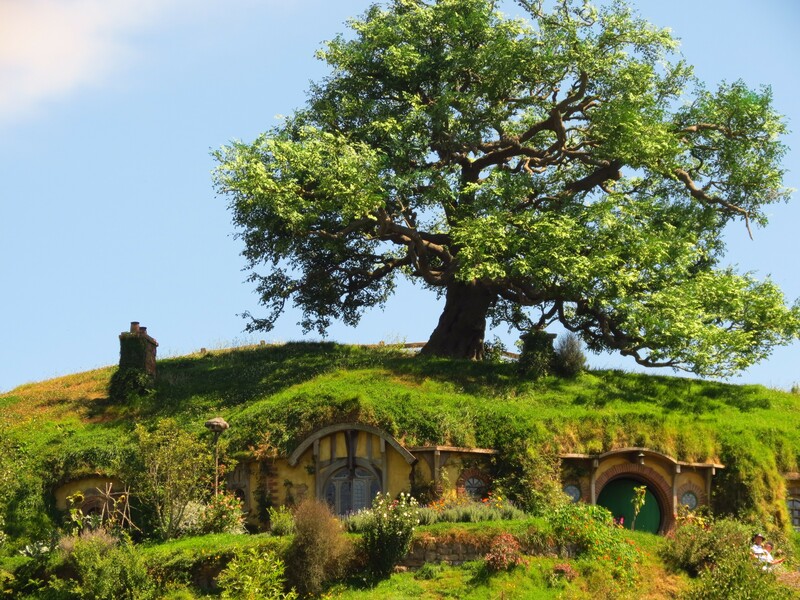 I don’t think this detracts from the tour though, The Shire is magical. 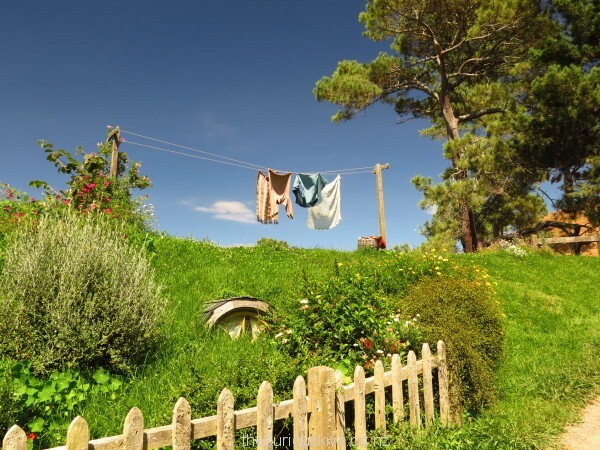 There is so much detail – little clothes on washing lines (the clothes are made at WETA Workshop so they last outdoors for ages). Letterboxes, bread on a table at the home of a hobbit baker, jars of honey outside the home of a hobbit beekeeper, and stacks of wood to keep the chimneys smoking, it’s just gorgeous. 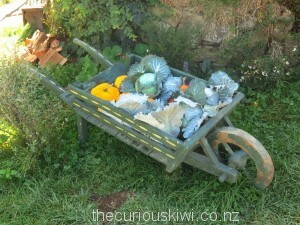 Tours* from Matamata/The Shires Rest Cafe cost $79 per adult, we think it’s well worth the money. The cost includes a beverage in the Green Dragon Inn which you visit for 20 minutes or so as part of the tour. 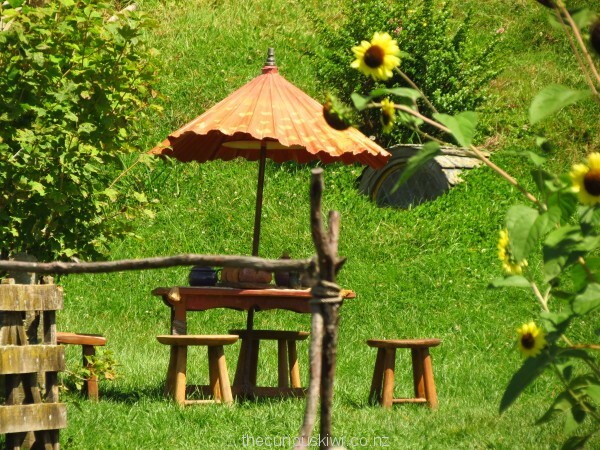 We liked the Inn so much it gets a blog post of its own. As someone who’s not a big fan of The Lord of the Rings or The Hobbit I was surprised by how much I loved the Hobbiton Movie Set Tour, it was an unexpected and most enjoyable adventure. 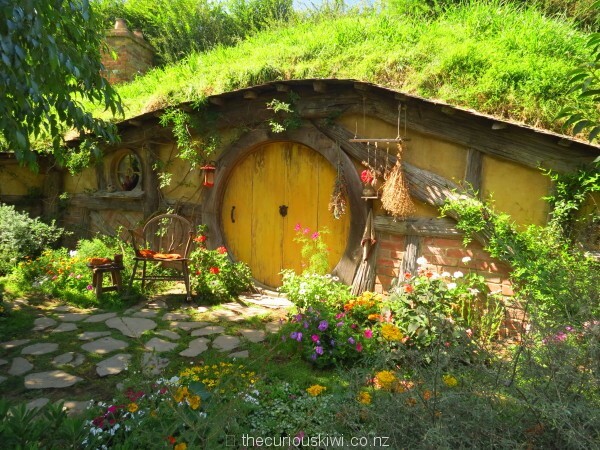 House for a single Hobbit? 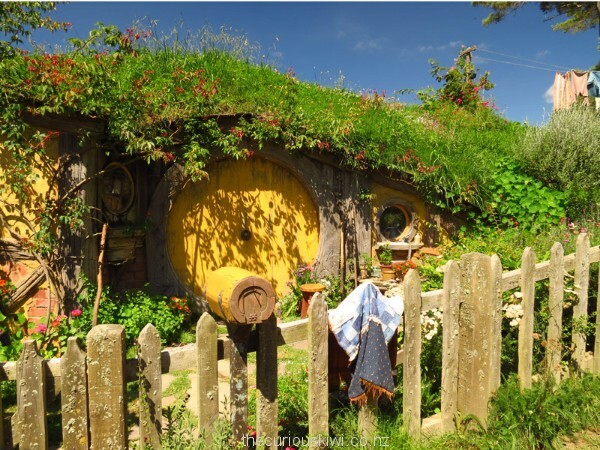 *A few Hobbiton Movie Set day tour options: Great Sights departs Auckland and Rotorua, InterCity departs Auckland. 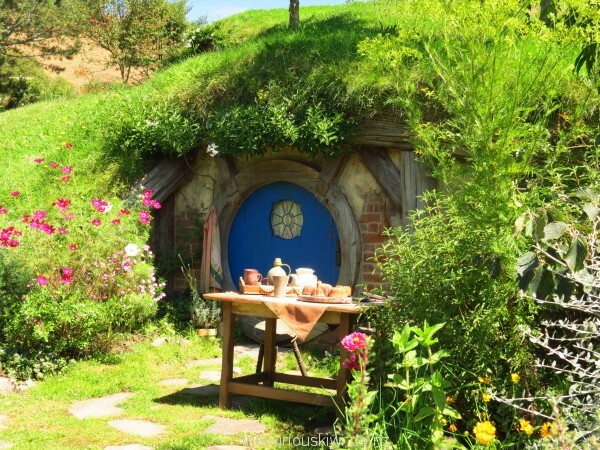 The Hobbiton Movie Set also runs its own tours from Rotorua, and offers private tours. 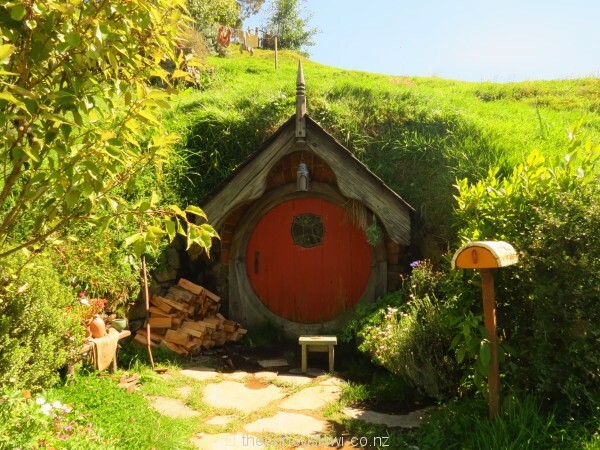 This entry was posted in Unusual New Zealand, Waikato and tagged Hobbiton movie set tours, Lord of the Rings, Matamata, Unusual New Zealand by thecuriouskiwi. Bookmark the permalink. 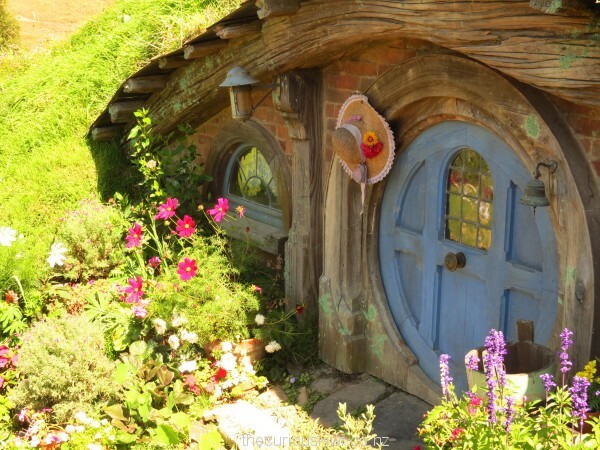 Seriously need to visit Hobbiton, it isn’t far from home so there is no excuse!! It really is neat, and if you’re a LOTR or The Hobbit fan I imagine you’d appreciate it even more than I did. 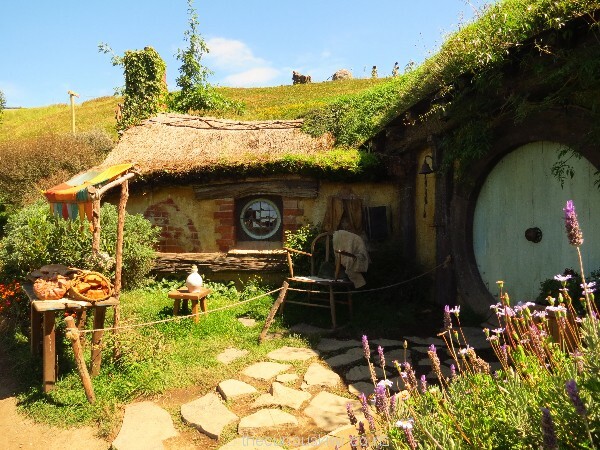 Mike did a tour back in 2011 and the bonus now is that it looks more like The Shire in the movies rather than a film set. 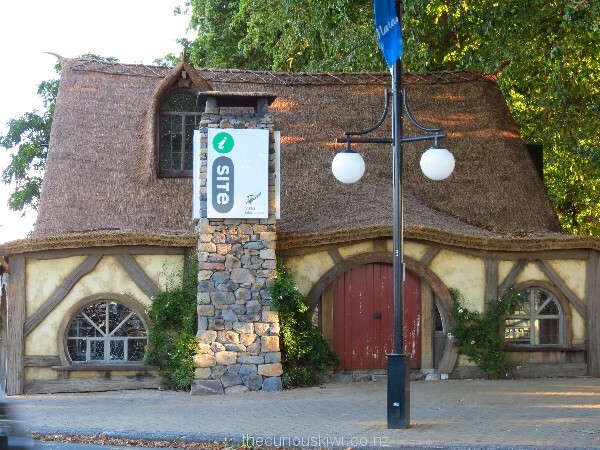 There are also more hobbit houses and The Green Dragon Inn is open (that post might be the clincher that gets you to click book 🙂 Do come back and tell us what you thought when you’ve visited.